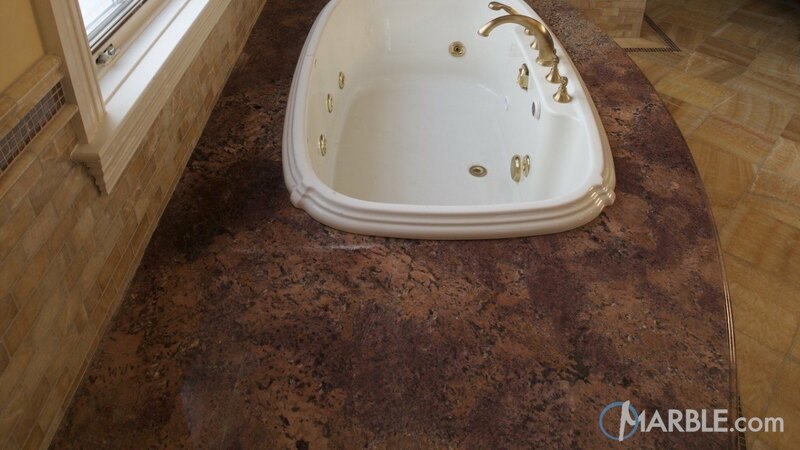 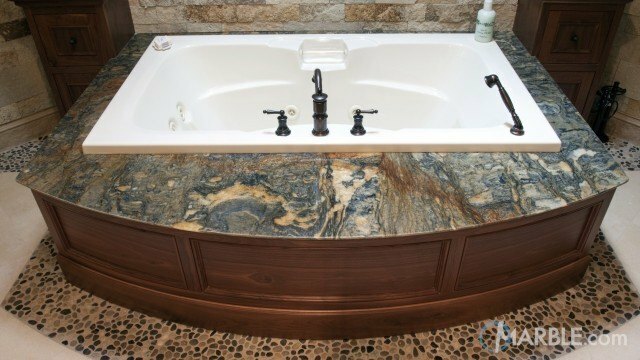 Bordeaux granite with an Ogee Edge makes this hot tub warm and inviting; perfect for relaxing after a long day. 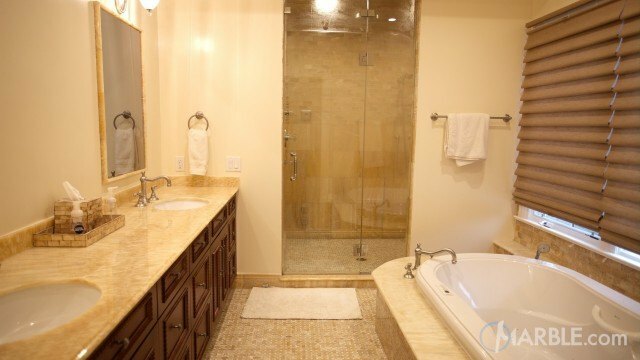 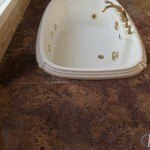 The red, pink and black pattern in the stone complement the gold floor and tub fixtures. 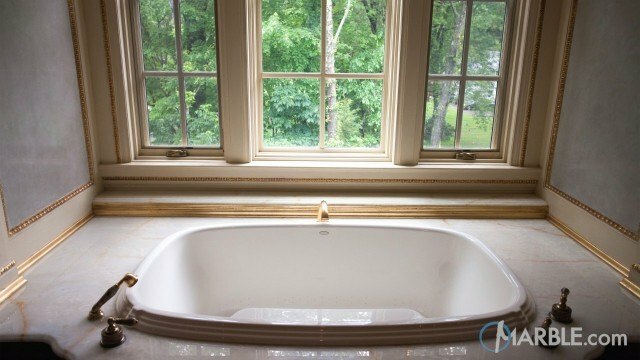 This calm hot tub makes you want to grab a glass of wine and unwind.